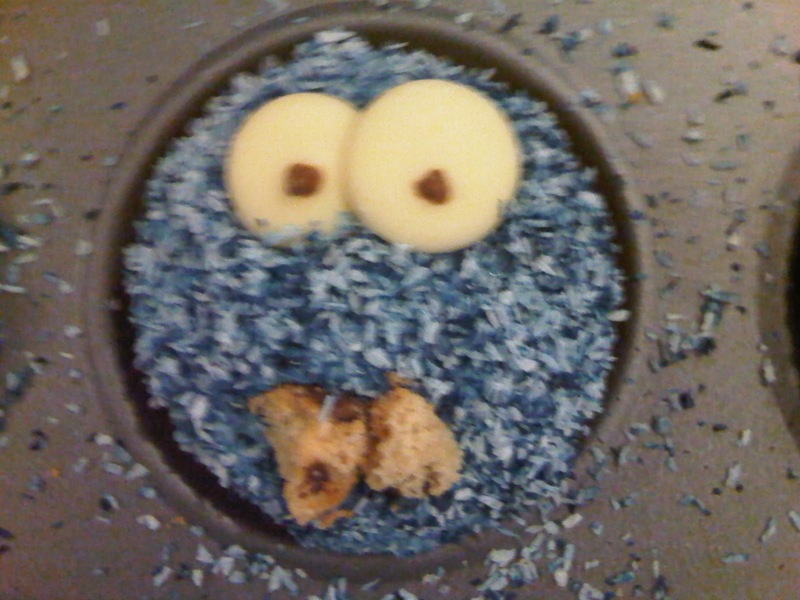 A while back now I was casually browsing the internet as you do and I came across images of cookie monster cupcakes, I was instantly overcome by the urge to make some. I love to bake <3 and since I just came across the photos I took of them, I decided I would share the love on here! 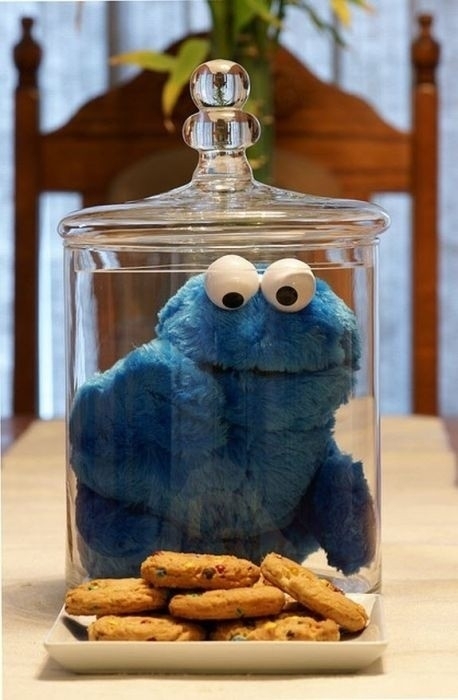 I think the inspiration for the cupcakes came from here…But I can’t be totally sure, however the concept of most of the recipes is the same. I have to say I cheated slightly with this when I made them as I didn’t make the cupcakes themselves. I was pushed for time so I bought some pre-made cupcakes from tesco and removed the icing from them so they were plain. I made up a batch of buttercream icing (since I’d never made proper frosting 🙁 ) and used blue food colouring to dye it. I also dyed some dessicated coconut to match. Then it was construction time! 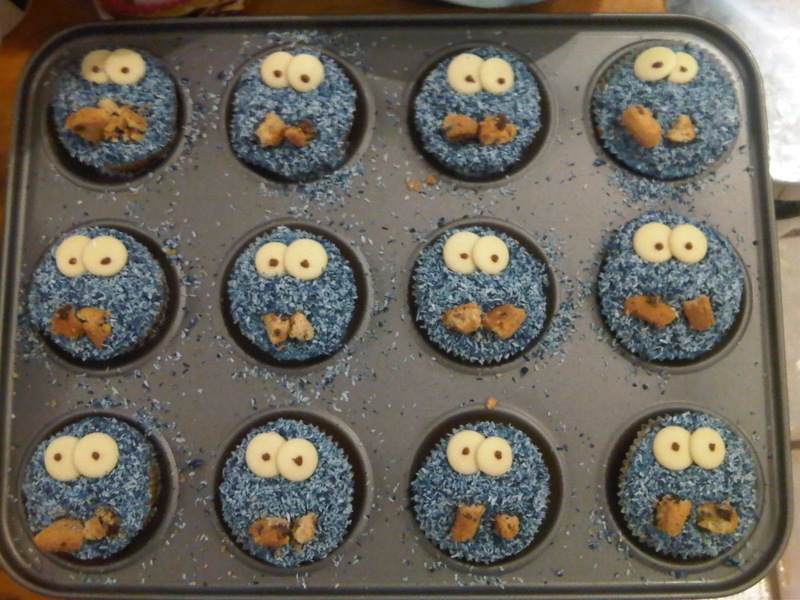 I covered the tops of the cupcakes with the blue icing, and then coated them in the blue coconut. The eyes were created using milky way buttons (white chocolate) with a drop of melted milk chocolate for the pupil. I placed the 2 eyes on top of the icing and then created a mouth using broken chocolate chip cookies. Hurrah. They didn’t turn out too bad at all. I think next time I might try making some other cool cupcakes.